My copy has 2 Columbia Records Radio Station timing sheets covering over half of the front sleeve. My copy sports M66218 on both LPs and not a mixture as illustrated here. 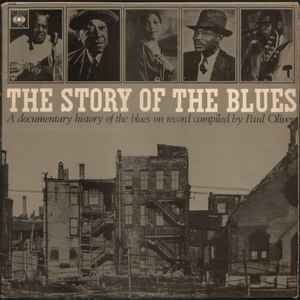 This is a nice introduction to the history and development of The Blues in America. Taking us on a chronological ride through the first half of the 20th century, most of the giants of the genre are presented. On this particular release, I believe the Mono labels are supposed to be on both records. I am pretty sure the fidelity is entirely monaural; however I do not have an instrument other than my ears to measure. The matrix-runouts seem to be consistent with one release. Regardless. this compilation touches base with the roots of blues, and therefore rock, and is a fine listening experience.